Wow!! Amazing how the butterfly at the handle fits perfectly between the ring work. very nicely executed cue. 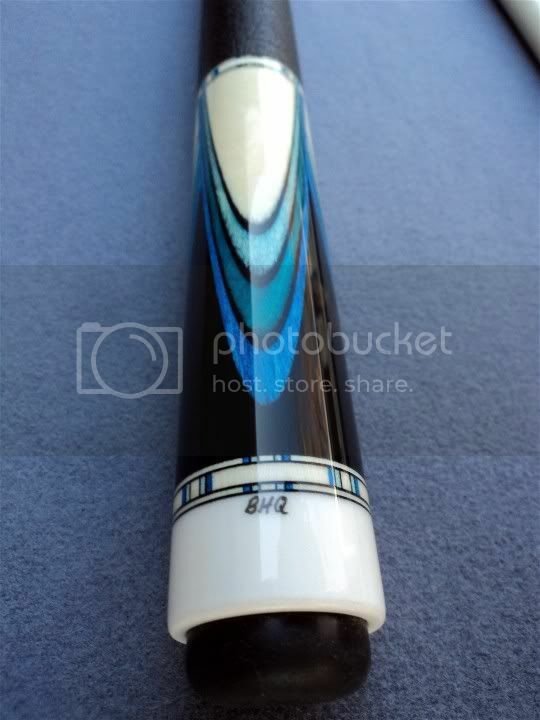 Think you have arrived when TIKKLER Buys a Cue from U! 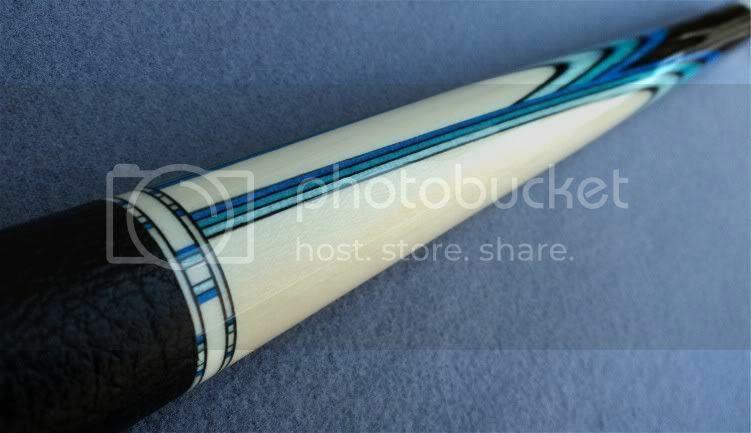 Beautiful cue, and nice ring work. It was nice to meet you at the show Brent. JCIN: "Shane what do you think about Barack Obama?" Shane: "He can't beat me." The above comments are my opinion, and in no way reflect the opinion or views of AZ Billiards, it's ownership, or it's management. 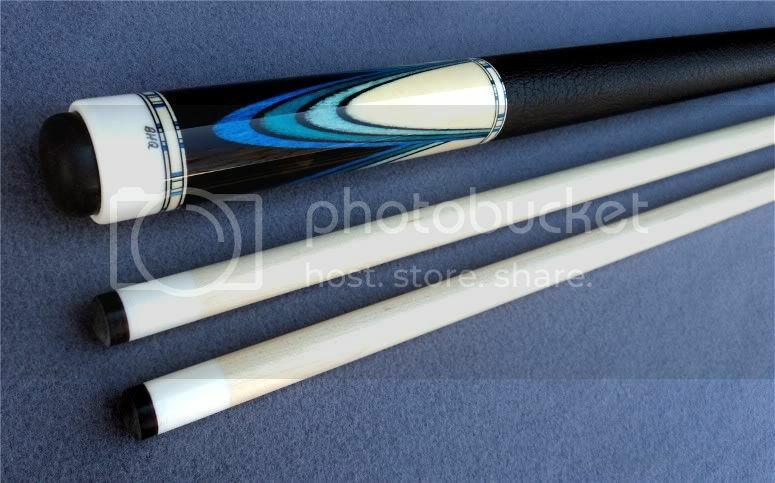 This cue is stunning. I love what you did with the ring work. Efren da king of pink! 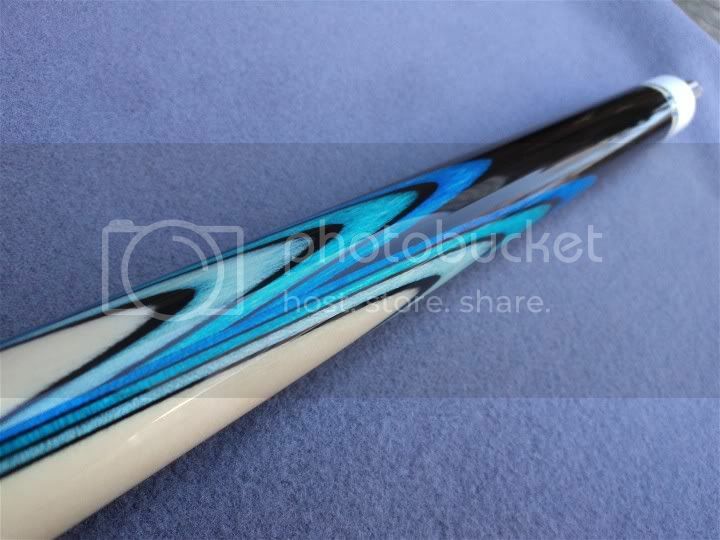 Love this cue! It is sick. I am the greatast pool sweater of all time! I love being stiffed out of money. 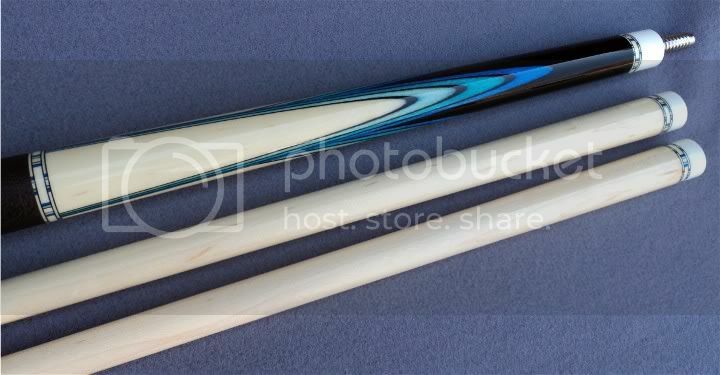 That's what you want to be doing as a cue maker, selling cues to Steve. That puts you in some pretty rarefied company. Congrats with that. Very nice. I bet it will draw alots of attention in a pool hall. I love this cue...the colors, overall style, and those crazy cool rings!! !